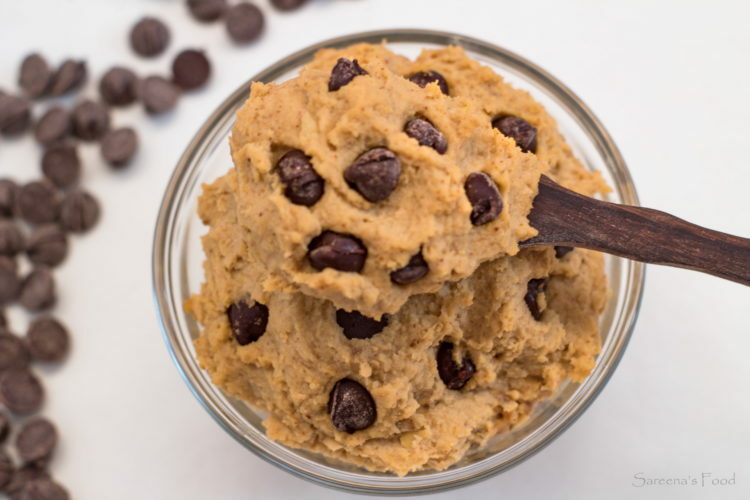 I have always loved eating cookie dough, and can’t get enough of it. 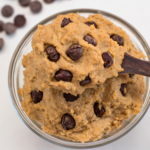 I’ve seen many different kinds of vegan cookie dough, but didn’t really like any of them, so I made up a variation of my own. It has the right amount of sweetness and texture. 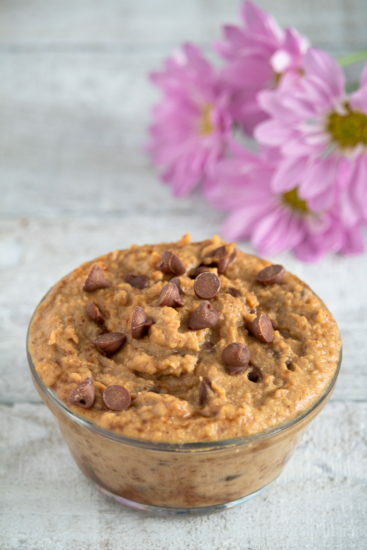 Maca powder is the key to this recipe! You can find it in many stores, but if you can’t, you can order it online from Amazon or many other companies. It is really important to rinse the chickpeas to get any excess aquafaba (chickpea liquid) off of it. It will change the taste of the recipe if you don’t. 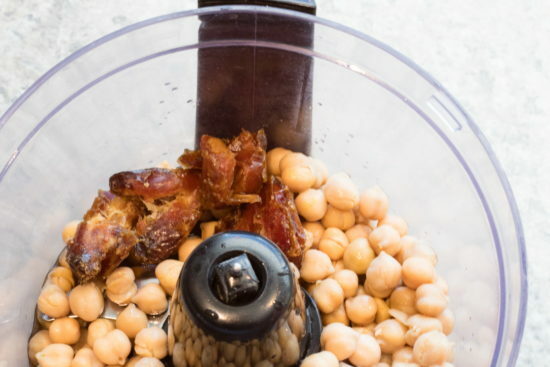 Combine everything except the chocolate chips in the food processor. 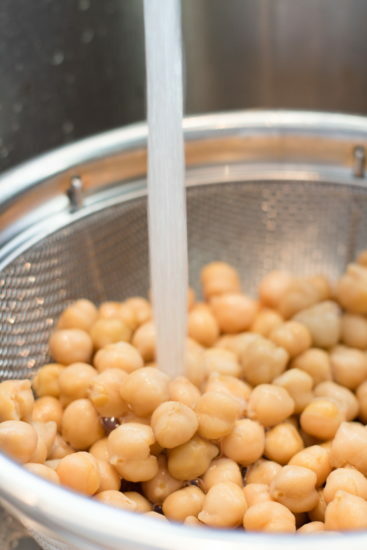 It works way better in a food processor than a blender. Blend until it is smooth, scraping down the sides once. NOTE: You can also add your favorite protein powder to it. Sometimes I use Vegi-Day French Vanilla Protein Powder to it. If you do add it, you will have to add a touch more plant based milk. Add the chocolate chips once it is smooth and stir well. It will keep up to one week in the refrigerator, if it lasts that long. Puree everything except the chocolate chips in a food processor until it's smooth. Add chocolate chips and mix well. Refrigerate up to 1 week. This is another recipe that I’ve tasted. Just like the real thing. Yum!